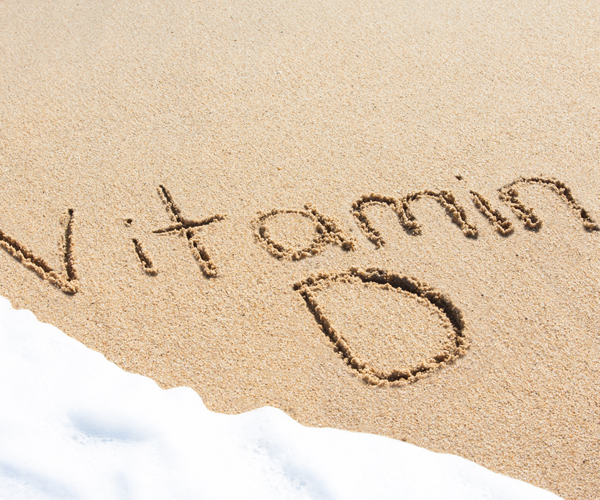 Association between higher blood level of vitamin D and lower risk of diabetes among adults with prediabetes. This was an observational study to assess the longitudinalassociation between vitamin D status – assessed by blood level of 25-hydroxyvitamin D – and risk of developing diabetes among people at high risk for diabetes (i.e., with prediabetes). The case-cohort study followed participants within the placebo (N=1022) and lifestyle (N=1017) arms of the Diabetes Prevention Program (DPP), which represents a large multiracial sample of U.S. adults at high risk for development of diabetes. After adjusting for many factors known to influence diabetes risk – including the very effective DPP lifestyle intervention – our team found that participants with the highest level of blood 25-hydroxyvitamin D (~30 ng/mL) had a 28% lower risk of developing diabetes compared to participants with the lowest level (~13 ng/mL). The association was similar among participants in the placebo or lifestyle arms of the DPP and among whites or non-whites. 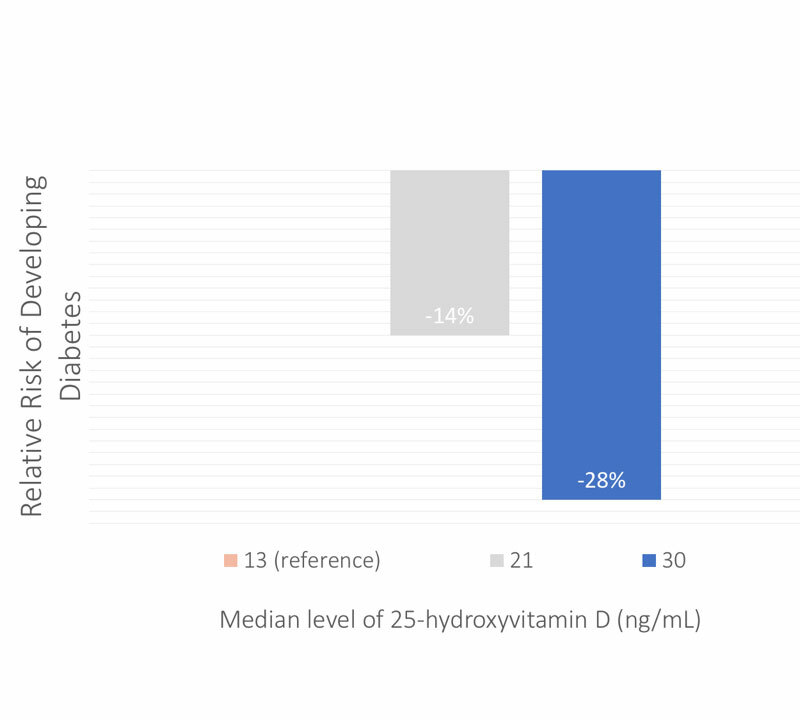 Because of the observational nature of the study, we cautioned that a causal association between vitamin D and risk of developing diabetes needs needs to be confirmed in a properly designed and conducted clinical trial. The study was funded by a research grant (R01DK079003) to the National Institute of Diabetes and Digestive and Kidney Diseases (NIDDK) and the Office of Dietary Supplements (ODS) of the National Institutes of Health (NIH). Results were published in Diabetes Care.